Stand firm against the enemy with this striking gothic shield held in front of you as protection. 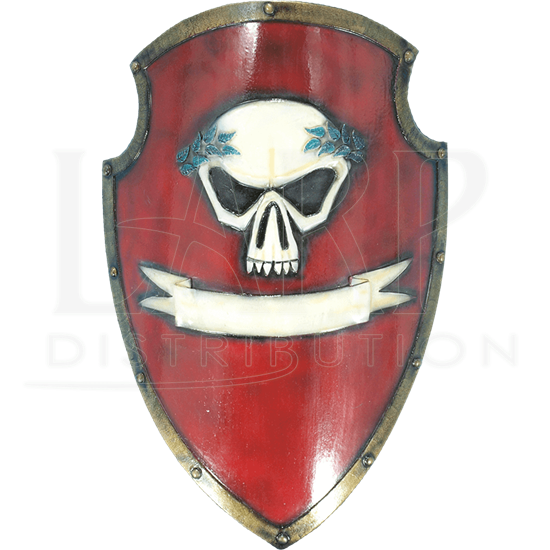 The Red Skull Imperial LARP Shield displays a stylized, laurel-crowned skull and banner design on the front of the tall, red shield. A golden studded band runs around the edges of the hard EVA foam shield. This durable, closed cell foam does not shred and has a strong latex coating, giving it a high level of safety. The top of the skull shield is rounded with inward curves at the top corners, adding to the height to give the combatant additional protection and a large parrying surface. 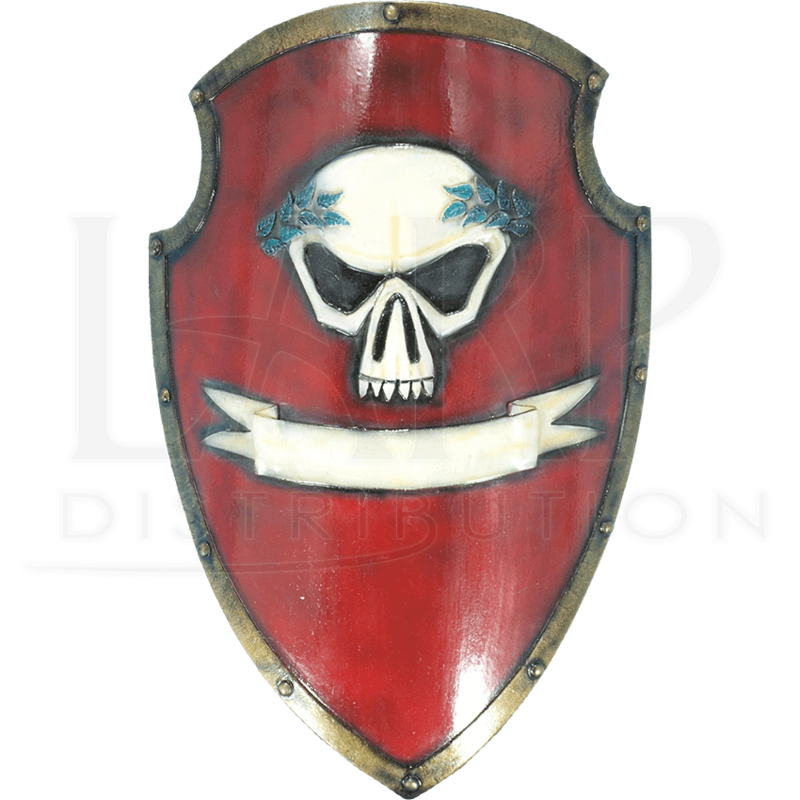 Both vertical sides of the LARP shield curve back towards the user. The grip is formed from hard foam with three adjustable leather straps. All latex-coated weapons need a certain degree of maintenance. We recommend using our maintenance silicone (MCI-2000), which has an easy, spray-on application, on a regular basis. This LARP silicone keeps the latex-coat flexible and prevents it from drying out, keeping the product wear-and-tear resistant.